Gently rest through your treatment with professional sedation from a registered anesthesiologist. 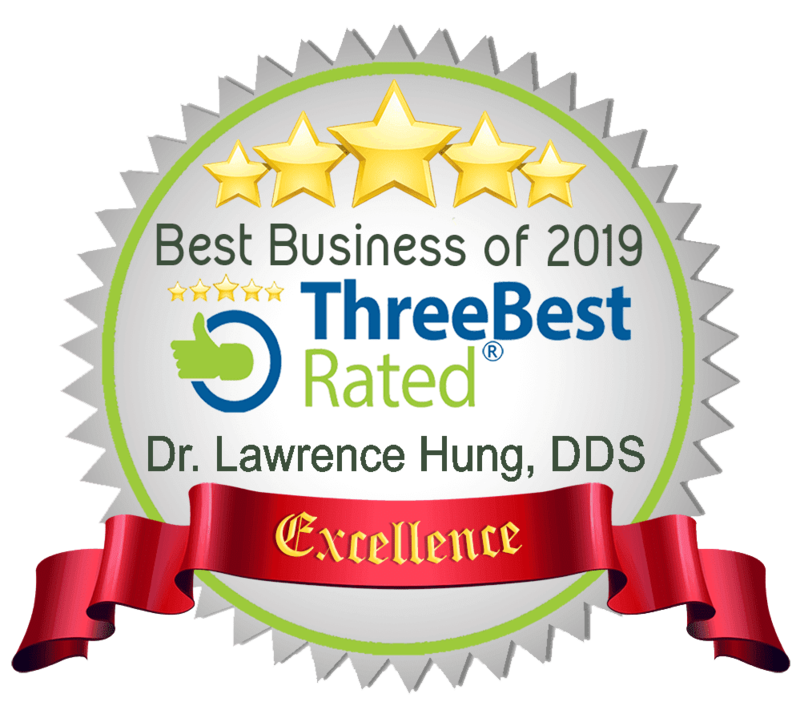 Dr. Hung and Dr. Norsen are a husband and wife dentist Bolton team able to provide you with a wide array of dental, therapeutic, and cosmetic services. Using safe and effective technology, low-exposure digital x-rays, and only the highest quality materials, Smiles on Queen Dentistry provides only the best care for patients from all walks of life. Some of the services we offer are restorative work, bleaching, implants, dentures, smile rejuvenation with veneers and bonding, orthodontics, children’s dentistry, non-surgical lip augmentation, holistic dentistry, TMJ and tension headache treatment, botox, root canals, and much more. We also offer both laughing gas and oral sedation, in case the dentist’s office is not your favourite place to be! So whether you are looking to finally deal with that tooth that has been bothering you forever, or you want your child to have a straighter smile, book a consultation with one of our dentists to see what we can do for you. Caring for your teeth is as important as any other aspect of your well-being. At Smiles on Queen Dentistry, we take dental health very seriously. Working with an experienced team of dentists and state-of-the-art equipment, we offer a wide array of services which include remedial work, preventive treatment, treatment of dental problems, cosmetic surgery, implants and a range of other quality dental care services for all. We offer these and more in a comfortable and relaxing environment in the heart of Bolton. Dr. Lawrence Hung who obtained his Doctorate in Dental Surgery in 2013 from the University of Toronto. His areas of interest include oral surgery, sedation as well as implantology. Dr. Hedy Norsen who graduated in 2013 from the University Of Toronto Faculty Of Dentistry. She enjoys working with patients of all ages and specializes in perfecting smile makeovers. Our dentists take time to advance their knowledge by staying active in organized dentistry. During their work, they are assisted by experienced dental assistants with over 10 years of experience. Thanks to our qualified team and commitment to quality services, our everyday focus is to be the leading clinic where you can find a dentist Bolton. Are you embarrassed or self-conscious about your smile? Many people spend their lives covering their mouths when they smile, laugh or even talk. 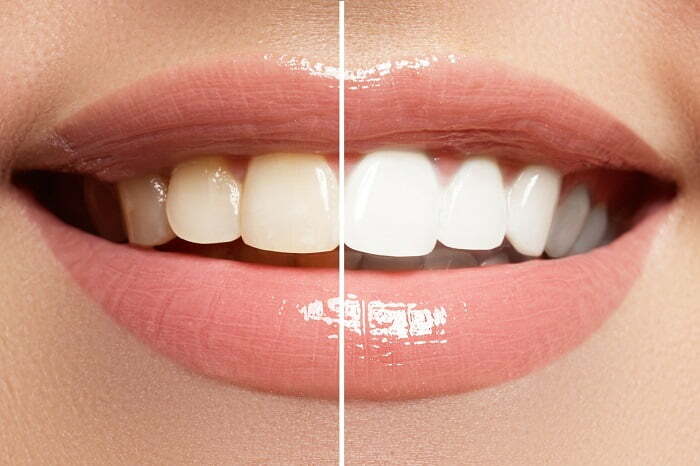 They feel stuck because they don’t feel there is a solution to whiten or straighten their teeth. Some people even think that the procedure is too invasive or expensive. At Smiles on Queen Dentistry, we offer a wide range of safe, affordable and effective cosmetic dentistry services to fit your pocket and lifestyle. In our clinic, we understand that patients have different ideas on what is beautiful and budget-friendly. To us, every patient is a unique case and every smile is a unique work of art. It is for this reason that we spend a lot of time listening to your needs and explaining your treatment options so that you make the best decision possible. Whether your problem is completely broken down, discolored or cracked teeth, we will work with you closely to find the best solution that fits your budget and lifestyle. We only move forward to enhance your smile after ensuring your teeth are healthy. There are so many procedures that out dentists can perform to improve your smile. Give us a call today and let’s evaluate your options together. Do you have a missing or severely damaged tooth? Teeth implants can be used to restore your confidence. The procedure involves the placement of a titanium cylinder into your jaw to replicate the root of your tooth. A crown, special made denture or bridge is then placed on top to replace the missing tooth or teeth. Dental implants integrate with the bone. 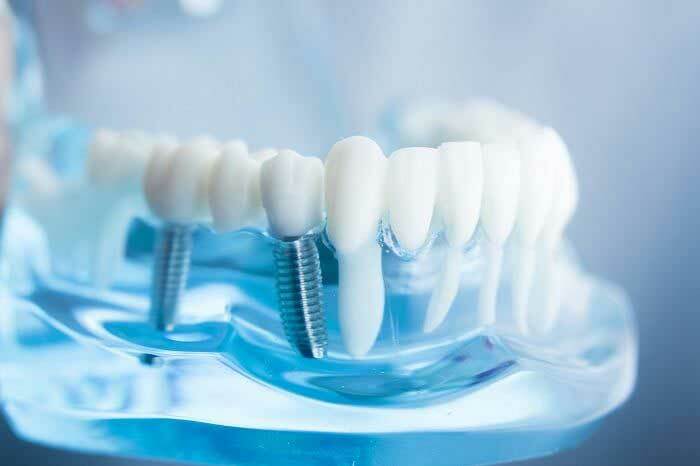 At Smiles on Queen Dentistry, implants are recommended for patients who need a solution that will enable them to smile and chew like they used to before they lost the tooth/teeth. The implants can be used to replace one or several teeth. They are also implanted to boost the retention of convectional dentures. The best thing about this procedure is that it is long-lasting. If there is bone-loss in the location of the missing tooth, we will do bone grafting to replace the bone. Contact us today to learn about the different types of bone grafts we can use to restore bone quantity and quality. Our customer support team will further explain to you your options in tooth implants and what you need to be prepared for. Our clinic recognizes that patients have unique needs whether they are total family oral care, general inquiries, dental implants or preventive advisory care. Our services include but not limited to dental implants, extractions, cosmetic dentistry, invisalign , porcelain veneers, teeth whitening, dental crowns etc. Our clinic is built within a purpose built facility that supports our aim to offer high-quality dental care for everyone. We ensure that you access ample free parking, benefit from senior discounts, offer weekend and evening openings by appointment and so much more. You can contact us by calling 905-533-2030 or booking an appointment online. You can also visit us at 301 Queen St. South, unit 3C, Bolton Ontario L7E 2B1. Smiles on Queen Dentistry was opened with the aim of making dental and cosmetic services available in the urban centers to the residents of Caledon and Bolton. You will always get a thorough explanation of the treatment option so that you make the most informed choice. Our clinic caters to patients of all ages. Take a look at the top services in our contemporary dental clinic. As you grow older, you will notice your teeth getting darker. Although this happens naturally, it can also be caused by the foods you eat and drink and other habits like smoking. Some people also have a more yellow or grey shade of teeth. Early tooth decay or illness can also cause white spots on the teeth. Only a handful of people have naturally brilliant-white teeth. 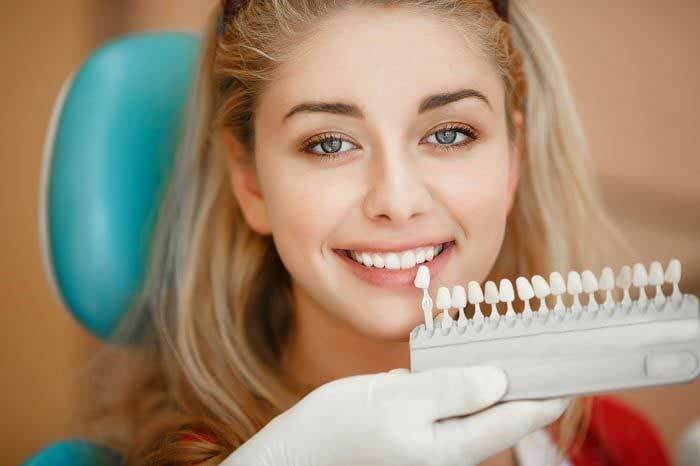 In addition to teeth whitening, Smiles on Queen Dentistry offers dental cleaning treatment. If you want clean and polished teeth, this is the treatment you need to go for. At Smiles on Queen Dentistry, all the cleaning is done by registered dental hygienists. At the end of the treatment, we will have gotten rid of the plaque, stains, and calculus. Professional teeth cleaning is important for removing the hardened build up under your gum-lines. It will further help you prevent gum disease and cavities. The type of teeth cleaning we use at Smiles on Queen Dentistry will depend on your unique needs. To learn more about this therapeutic treatment, give us a call today. Our team will explain what will be done in teeth cleaning and why. Our dentists will further explain the reason for your other dental problems such as bleeding gums and teeth sensitivity. This is a service we are very proud of. It is ideal for people who want to improve their smiles without the hassle of braces. The treatment gives an instant smile makeover. The best thing about this treatment is that it makes use of invisible aligners which are detachable and comfy to wear. The aligners are customized to your teeth. The invisalign procedure at Smiles on Queen Dentistry is done by an experienced and qualified dentist. The aligners are designed to reposition your teeth gradually using a soft and controlled force. It takes 9 to 15 months for the realignment to be complete. You get a new set of invisible aligners at the prescheduled appointments. Each set is worn for several weeks. You remove them when brushing, eating or flossing. Give us a call to learn more. Our everyday goal at Smiles on Queen Dentistry is to ensure that every patient that seeks our help gets it and leaves with a healthy and beautiful smile. Your safety and comfort is our top priority followed by your complete satisfaction. We are familiar with dental anxiety and offer a gentle, friendly and non-judgmental environment for your treatment. Whether you have some dental questions or want to change your look or dental health, give us a call today. We are always happy to meet and help you. From implants to orthodontics, children’s dentistry to tension headache treatment and lip augmentation, Smiles on Queen offers safe, effective treatment for all your family’s needs. Having worked with patients from every demographic and every age, Dr. Hung and Dr. Norsen understand that different patients have different needs and desires. While one patient may want a full smile makeover, another may want just the very basics to get out of pain, and both patients deserve the utmost attention and care. At our clinic, you will receive a thorough explanation of all your treatment options, the risks and benefits of every procedure, and you’ll be able to make an informed decision about your needs and wants. You will never feel pressured, judged, or uncomfortable at our clinic, and our aim is to keep your teeth healthy and your mind at ease. 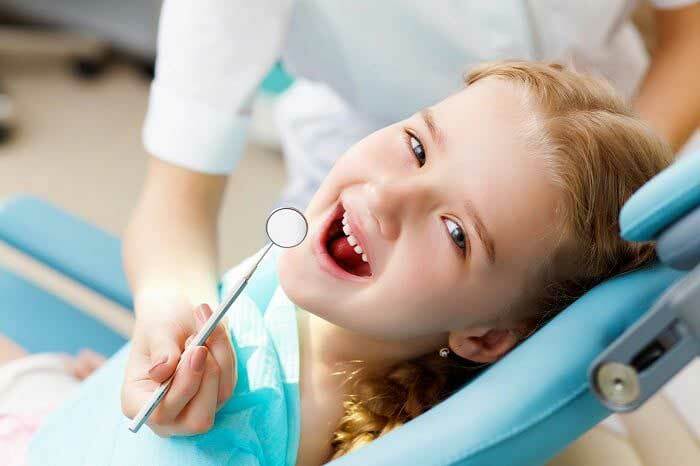 If you have young children, let the dentists at Smiles on Queen introduce them to the world of dental care without the anxiety that you may have experienced as a child. Gentleness is our mantra, because we know that unknown experiences can scare the stoutest of hearts. At our clinic, we will ensure your child’s dental health is looked after in the most comfortable way possible, using behavioral methods and “show-and-tell,” or laughing gas for those extra squirmy young (or old!) patients. We only use low-exposure digital radiographs, amalgam-free fillings, biocompatible materials that are safe for the body, and the highest quality products on the market for all our procedures. We also adhere to the highest standards of safety. Our staff are fully trained and certified, and our sterilization practices are stringent and transparent. Our clinic also welcomes seniors and offers senior discounts on many procedures. Both Dr. Hung and Dr. Norsen have extensive experience in treating the unique needs of seniors and aging teeth and gums. Depending on your medical needs and conditions, they will formulate a treatment plan that will allow you to keep your teeth healthy for as long as possible, and to replace the ones that are causing more harm than good. Seniors face unique challenges in dentistry, including dry mouth and trouble chewing, gum recession, tooth fracture, excessive wear, large silver amalgam buildups that are starting to fail, osteoporosis, and altered taste sensation. At Smiles on Queen Dentistry, we will coordinate your treatments with your doctors and specialists to guarantee your safety at all times. We will also team up with your denturist to provide an optimal treatment plan that will help you eat, speak, and function better than ever.